Toompea Castle is open to the public. We have professional tour guides who will introduce the visitors to the work of the Riigikogu, the Castle and its history. Book an interesting and free guided tour. Tours focus on the work of the Riigikogu and Toompea Castle. Tours in the English language start at 11 a.m. on Fridays. The tours last 45 minutes. Tours centre around the work of the Riigikogu and Toompea Castle. Tours take place from Monday to Thursday at 10.00–16.00, and on Friday at 10.00–15.00. The maximum group size is 35 people. In Estonian, English or Russian. To visit the Riigikogu, please contact a tour guide. If there are more than seven people in the group, please send the list of their names along with their birth dates to ekskursioon@riigikogu.ee. Please use the “Request a tour” web form! Toompea Castle and the work of the Riigikogu – tour for adults lasts 40–60 minutes and gives an overview of the Riigikogu. It concentrates on the history of the Castle, the structure of the Riigikogu and its everyday work. 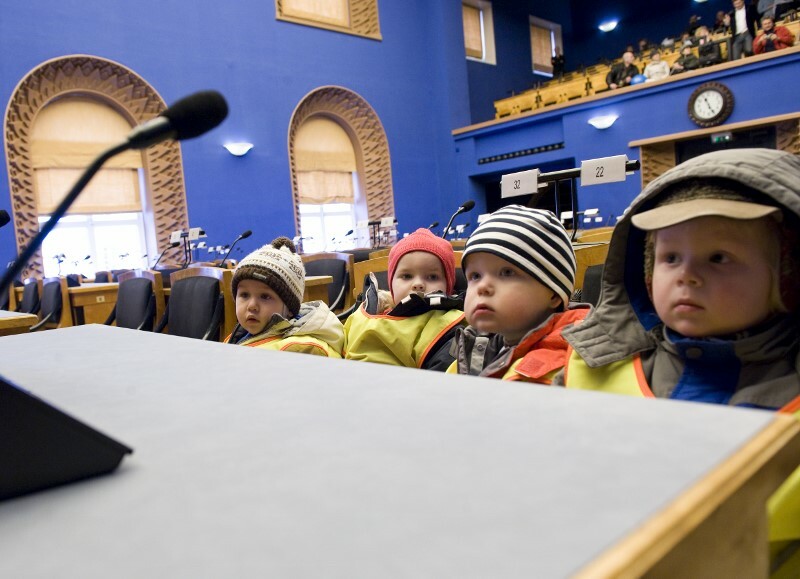 Parliamentarianism in Estonia – tour for basic and secondary school students lasts 40–45 minutes and has an educational content. The focus is on the work of the Riigikogu and the mechanisms of parliamentary democracy in Estonia. Half an hour in the Riigikogu – tour lasts 30 minutes and takes the visitors round Toompea Castle and the work of the parliament because “seeing is believing” as the proverb goes. Please note: You need to present a valid photo identification document to gain entry to the Castle: ID-card, passport, driver’s licence or student card. Entry to the Riigikogu is from the right hand foyer. 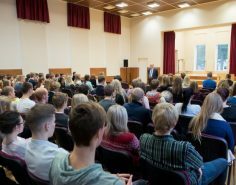 Tour programme may change in connection with events organised in the Riigikogu. Please send your questions to ekskursioon@riigikogu.ee. … that in 2016 alone, over 28 500 people visited the Riigikogu? If you need advice or help in submitting the request, please write to ekskursioon@riigikogu.ee or call +372 631 6345 or +372 631 6357. List of the guests If there are more than 7 people in the group, please send us their names and dates of birth to e-mail address ekskursioon@riigikogu.ee. Thank you for visiting Toompea Castle!